As the Lowland League enters the final quarter of the 2018/19 season, all 15 teams still have plenty play for. 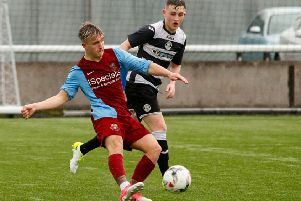 From Whitehill Welfare who are locked in a relegation battle to Civil Service Strollers competing for a place among the top four, here we analyse how the Edinburgh and Lothian clubs are faring this term. Barring a late collapse from runaway league leaders East Kilbride, the champions appear destined to relinquish their crown. Manager Dougie Samuel had accepted their defence of the title was all but over last month and they find themselves 19 points adrift of top spot with just seven games left, despite their recent improvement in results. Their Achilles heel has been the amount of games they have drawn; eight in total, which also included early round exits from the Irn-Bru Cup, South Region Challenge Cup and the senior Scottish Cup. However, the Ainslie Park have reached the last four of the Football Nation Cup. They will no doubt have one eye on catching BSC Glasgow (2nd) and Kelty Hearts (3rd) during their final run of fixtures as well. Spartans make the trip to Islecroft this weekend to face Dalbeattie Star looking to build on their three-match winning run. Civil have developed into arguably the most improved side in the league under the guidance of former Edinburgh City manager Gary Jardine. Last season’s South Challenge Cup winners are firmly on course to emulate their seventh-placed finish during the 2017/18 campaign. Strollers are set to battle it out with neighbours Spartans, Kelty and BSC to finish among the top four, and with a run of games against teams towards the foot of the table, Jardine will be hopeful his players can achieve the feat. Since taking over the reins from predecessor Alex Cunningham, Jardine, the man who led City into the senior leagues, has added quality to his squad. Despite releasing their grip on the South Challenge Cup this term, Strollers can reflect on another very positive season. A trip to face Vale of Leithen awaits tomorrow, with Civil knowing a victory and any slip up from fourth-placed Spartans could swing the momentum back in their favour. The Students continue to achieve their priority of maintaining their Lowland League status and this season has been no different. With a high turnover of players each year, head coach Dorian Ogunro and his backroom staff deserve great credit for the way they operate under limited resources. As the division continues to go from strength-to-strength each year, with next season promising to be the strongest yet, Ogunro’s side will find life much tougher. However, that’s not to say they will not continue to surprise a lot of people along the way. The Uni always churn out eye-catching results against the strongest sides in the division. Their biggest downfall, however, once more has been their failure to become more consistent. It has been a season to forget for the Midlothian club and one that could still have repercussions. Various managerial changes and the accumulation of just eight points all season from a possible 69 has left Whitehill at the foot of the table. The prospect of relegation to the East of Scotland League appears almost a certainty now. Ian Little’s men have five games remaining, but second-bottom Dalbeattie Star still have two games in hand.